Address: 245 Swanston St, Melbourne VIC 3000, Australia. 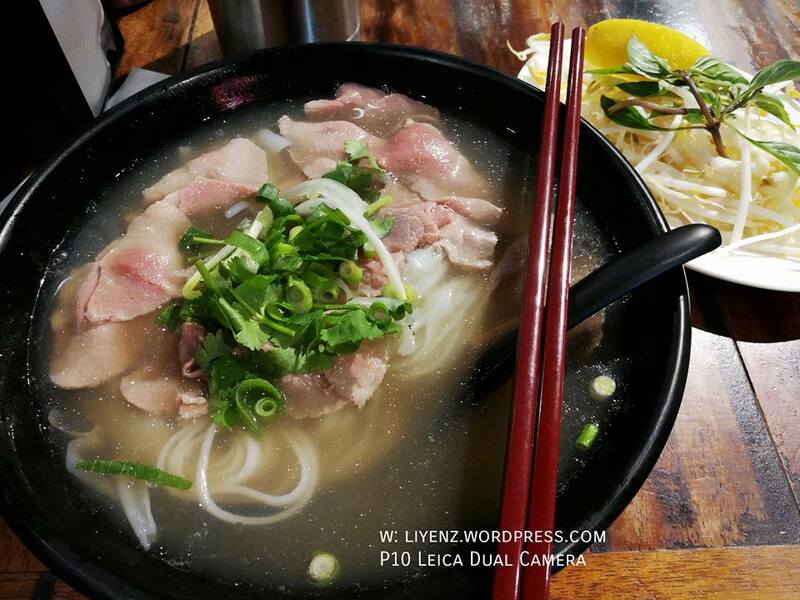 After walking on my own for quite a while, I texted my cousin asking for guide for food in Melbourne, and she suggested to me to look for the Vietnamese food which is quite famous with its beef noodle. Australian’s beef is great, so does the Vietnamese beef pho. It is a must to try the beef pho when you are in Melbourne. There are plenty famous Vietnamese restaurants in the city, I went to the Rice Paper which is located at Swanston Street, not too far from where I was at that time. There were quite crowded when I went into the restaurant during the dinner time. There is no issues ordering the food because the menu is in English and the waiters and waitresses are able to speak English too. Simply put down the order number on the order form and the food is ready within the 15 minutes wait. They provide complimentary hot tea serves in the big thermal flask. Here is the picture of the beef pho which I was quite surprised by its portion, it is quite a lot for me. For this price, it is very worthy and satisfying. The beef is generous, well done and the noodle is springy. The soup broth is not oily and salty. I added some chili paste into my soup to bring up some spiciness. Their chili paste is good to go with the beef too.